Police in Chicago is looking for as many as 60 high school students who trashed a local Walmart after being allowed out of classes to take part in the nationwide walk-out against guns on Wednesday. The students are from Simeon Career Academy in the city’s South Side. 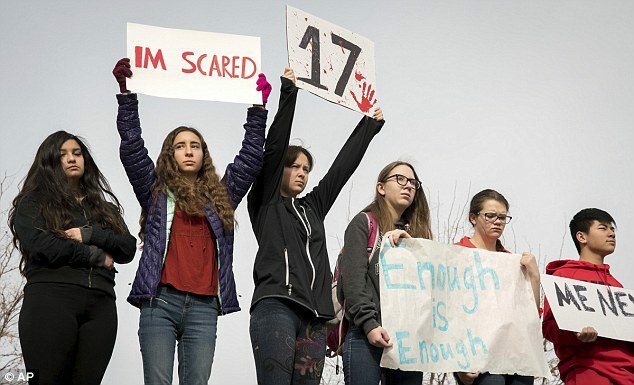 Like thousands of others across the country, they were allowed out of class at 10 am on Wednesday to take part in the protest. Instead of standing outside the school building as planned, they crossed the parking lot to the Walmart which sits opposite and stormed the store. 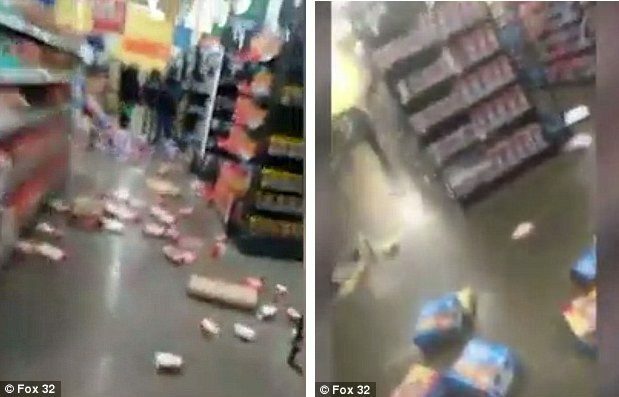 According to staff who were working there at the time, the group ran through the store kicking over displays and trashing it before fleeing it again. 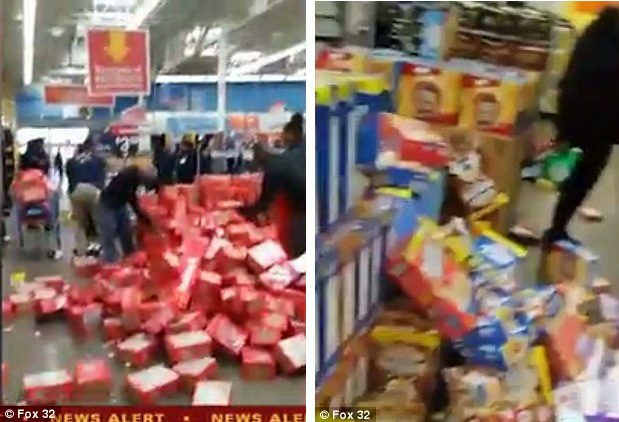 Some stole chips and candy during the rampage, according to the store. Police are now working to identify the youngsters from surveillance footage taken inside at the time. Other students who adhered to the rules say they are disappointed in their classmates for ruining the occasion. ‘It was just an embarrassment and they shouldn’t have done it,’ one student told Fox News. ‘They told us we could come outside for 17 minutes and we just took it upon ourselves to go over to Walmart and it got out of hand,’ another boy, who was there, said. He admitted watching as the others tore through the store but insisted he himself was not doing anything he was not supposed to do. The school said it was disappointed by the students’ behavior and that it would work with police to find all those who took part. 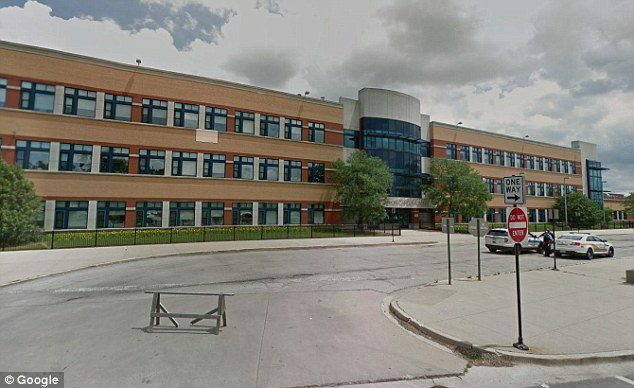 ‘We are very concerned by these allegations and we are reviewing the matter,’ a Chicago Public Schools spokesman said. Police say the youngsters may face misdemeanor charges. Their story was not the only one of disruption to come out of the well-intended protest. In Franklin, Tennessee, students carrying a Confederate flag sparked a mass brawl and others were seen tearing down the US flag from a high school. In South Carolina, a school custodian was accused of stealing $180 from students’ book bags which they left behind to protest outside.